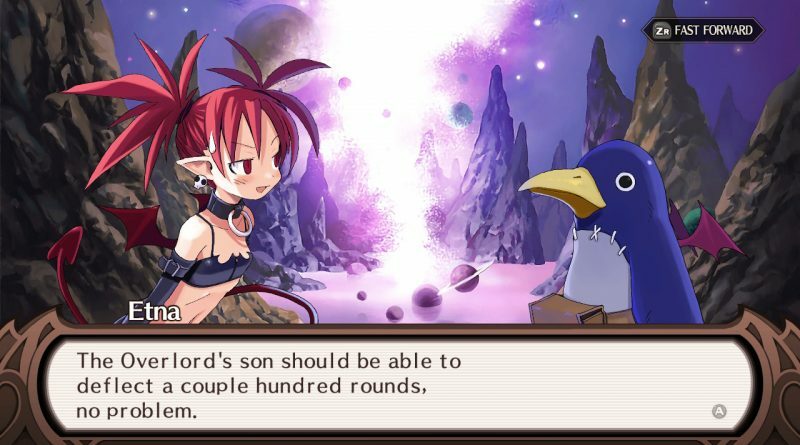 A breakout hit that turned into a long-running franchise, the first Disgaea game still holds a certain charm for those who discovered it. 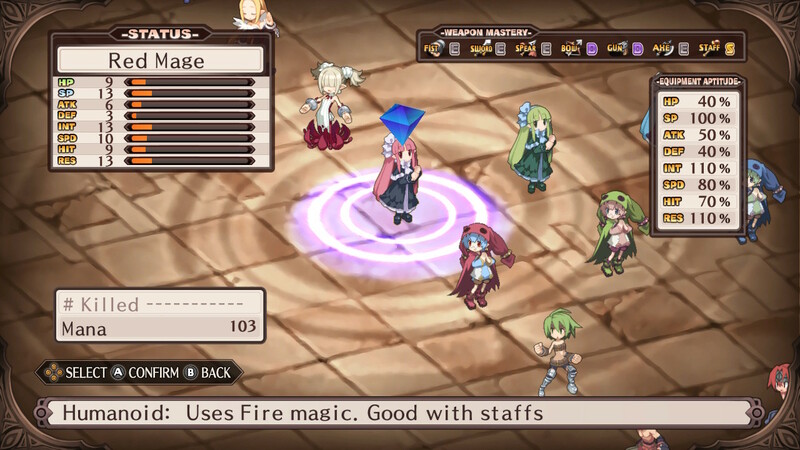 Nippon Ichi Software knows it, too: it’s re-released it on tons of platforms and even developed the peculiar Disgaea D2 that was built explicitly as a response to the fandom surrounding the original. Now, that’s led to Disgaea 1 Complete, a release that remasters the visuals of the original while painstakingly retaining the systems and limitations of the debut. The story of Disgaea 1 — which is apparently the canonical name for it now but still feels weird to say — sees netherworld prince Laharl and cohort Etna taking on map after map full of foes as… you know, on second thought, any attempt at a coherent explanation of the arc of a Disgaea plot is probably ill-advised. If you’re here to see what happens, it’s for the moment-to-moment interactions between the characters much more than it is about the ultimate narrative conclusions it reaches. Most Disgaea players aren’t here to see what happens. They’re here to get lost in the game’s systems and keep grinding and building up their squads to take on tougher and tougher enemies. That said, most Disgaea players aren’t here to see what happens. They’re here to get lost in the game’s systems and keep grinding and building up their squads to take on tougher and tougher enemies. This first game certainly pioneered that sort of title, one that’s grown increasingly common in free-to-play experiences and revisited regularly by the franchise itself. The campaign is essentially the game’s tutorial, an introductory experience designed to get you used to how it works. And then you bully the Dark Assembly and level up weapons in the Item World and somehow get your core team to Level 9999. It’s what the franchise does best. Preserved from the original release are all sorts of maps and classes and monsters and items, and even with its relatively limited selection, it’s the sort of game you never truly finish. Subsequent releases had to up the ante on some of the more puzzle-like maps, and there’s something to the original’s balance that’s a bit more elegant. 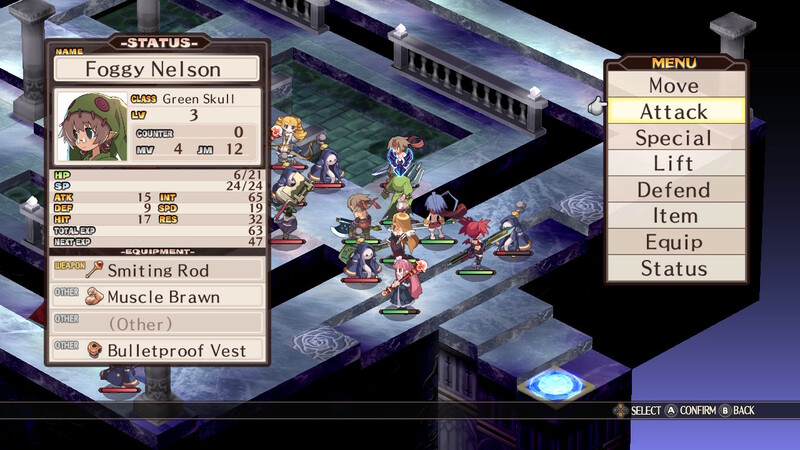 Pure tactical play was never really the point of Disgaea compared to other strategy-RPGs, but viewing it in this particular lens does position it closer to those. If later games are too overwhelming to you, this may be a good thing, but… there’s a good chance that this will still be too overwhelming to you. The problem with this focus on volume, of course, is that the franchise has explored this area a lot now, and it’s gotten better at it in many ways. If you want to drown in options and systems, you’re way better off with Disgaea 5 Complete, which earns its name a lot better with tons of extras bundled into the experience. The “complete” moniker here seems to — other than some scraps of content here and there — refer to the game’s Etna Mode, which debuted in a few of the ported releases and has been seen before. Essentially, it’s a shorter story that explores what could have happened if Etna’s frantic attempts to wake Laharl at the beginning of the game lead to his premature demise. It’s a fun little thing that you can access by beating enough of the game or entering a particular sequence in the menu, and the game’s tendency to let you achieve an ending and then head in with all your progress to see another one work well to make this fairly painless. Naming scheme aside, Disgaea 1 Complete is more of a remaster than it is a compiled re-release, and it’s this aspect in which it most shines. The original PS2 release didn’t quite nail the look of the characters between 2D art and in-game sprites, and the dated-even-then isometric pixel look was definitely in need of an update. And it gets it! 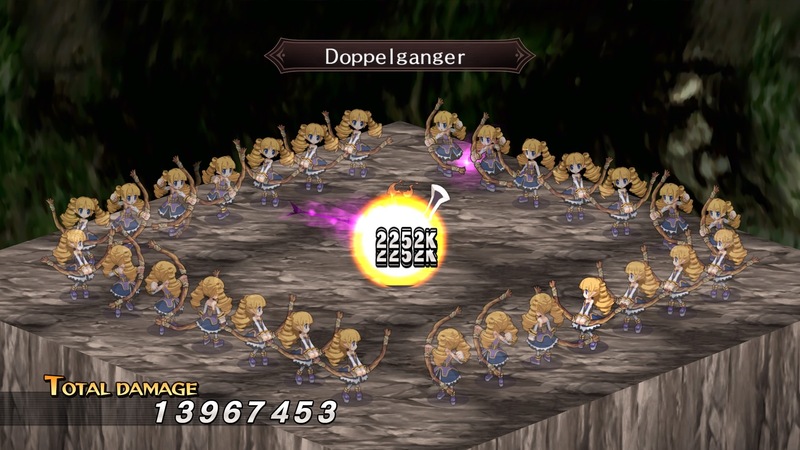 The game’s essentially running in the Disgaea 5 engine, and its monsters and original characters were present there, so it’s likely a lot of the assets were already in place to make the process easier. Not everything gets updated; you’ll come across the occasional environment or texture that wasn’t a priority for the team, and some of the new work was held back by still needing to be based on the original’s capabilities. But if you want to play the first game but just have it look nice, it does the job. Naming scheme aside, Disgaea 1 Complete is more of a remaster than it is a compiled re-release, and it’s this aspect in which it most shines. It also brings the title to modern platforms, which is notable even given the sheer number of ports the game’s received. Switch and PS4 owners can play the game without digging out an old platform or being tethered to a PC. 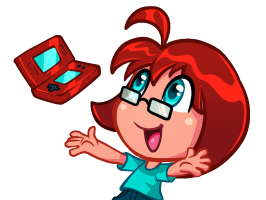 The Switch version is particularly relevant, as it’s the sort of game that really benefits from being portable and playing while doing other things. Still, it’s this context in which it most competes with the mobile brethren it once preceded, and other console games have a tighter design that gives them more to offer in the comparison. 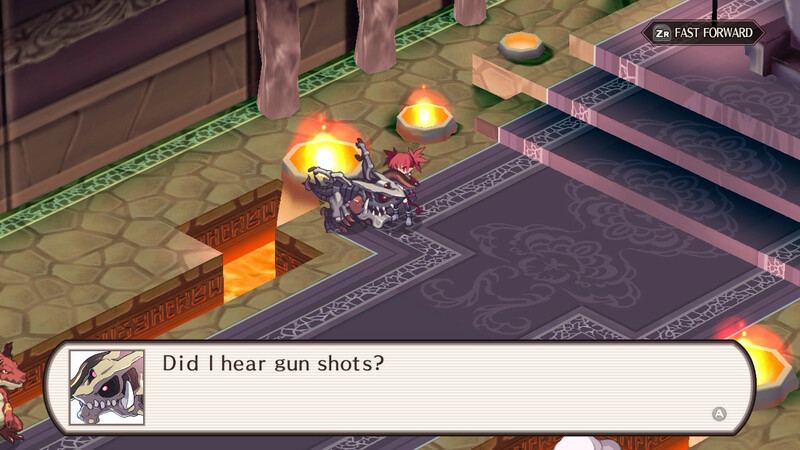 That’s basically it, really: Disgaea 1 Complete is for fans of the original Disgaea. If you want to just dip a toe into the franchise, the games are standalone enough (and, frankly, so long that “catching up” isn’t really a possibility) that you’re better off jumping into 5 and enjoying all the modern comforts. But if Etna, Laharl and Flonne hold a special place in your heart, this remaster does the original work justice.